The Nose Piercing is the second most common type of piercing after the earlobe piercing. It is a type of piercing that may or may not involve cartilage or skin on any part of the nose. They are loved by many since they can be very fashionable while being discreet. Nose Piercings come in different variations on different locations on the nose. Some are pretty basic and some are very advanced. Here are all types of nose piercings that Piercing Models have tried. 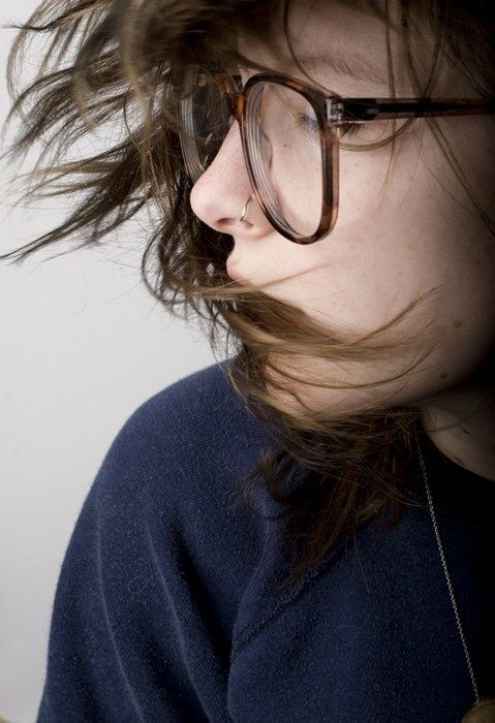 Nostril piercing is one of the most common types of nose piercings. In fact, nose piercing is a practice in Indian and Nepalese culture. Women from these countries follow an Ayurvedic belief that placing nostril piercing on the left side helps in easing the pain during menstruation and pregnancy. 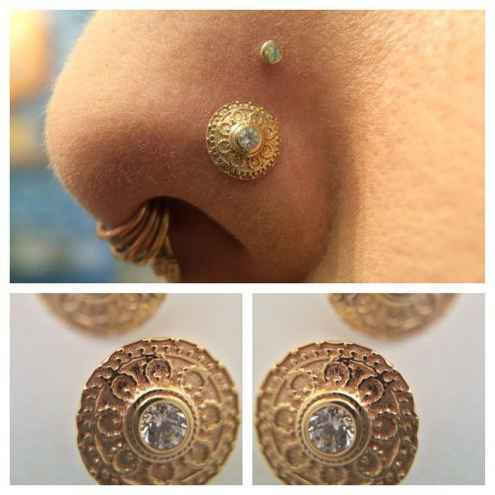 On this type of piercing, the jewelry is placed right above the crease of our nostril’s natural curve. 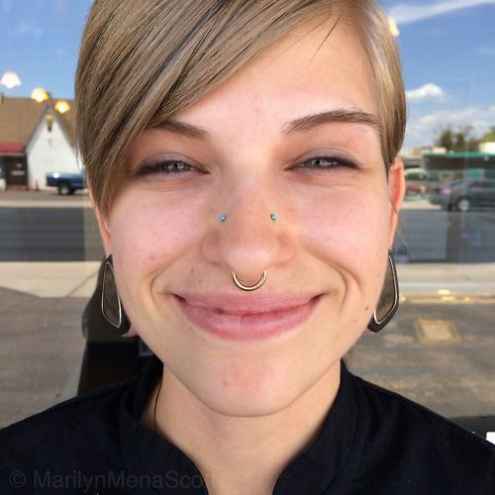 Double Nostril piercing is a variation of nostril piercing where three holes for jewelry are created on the top crease of the nostril. 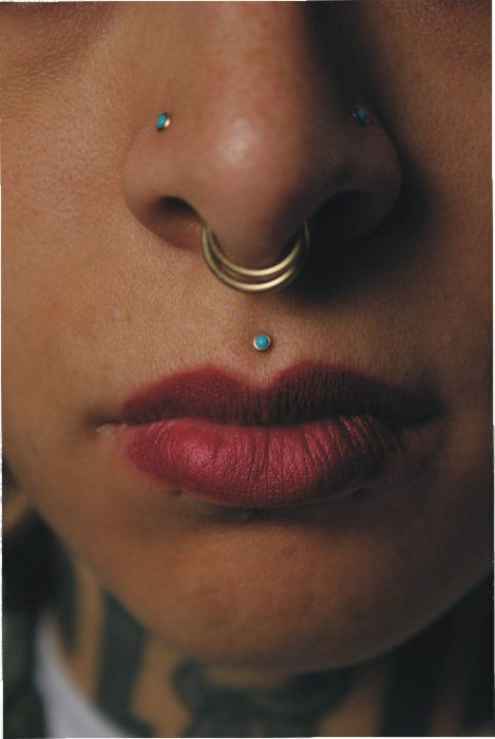 It is perceived that this kind of nostril piercing is more adventurous and bold. The jewelry used are studs or nose bone, nostril screw, l-shaped nose pin, nose hoop, circular barbell and even captive bead rings. Since there are two holes created, placing them requires a strategic and professional piercer who is extremely careful of hitting nerve structures. 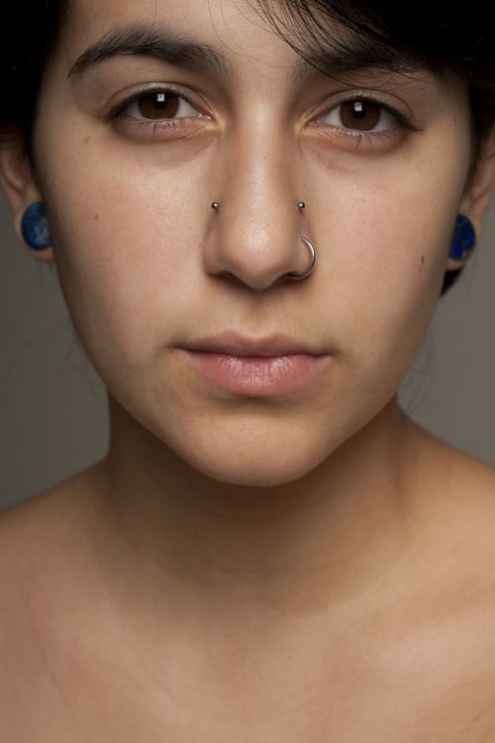 In the double nose piercing, the first piercing is higher than the other. 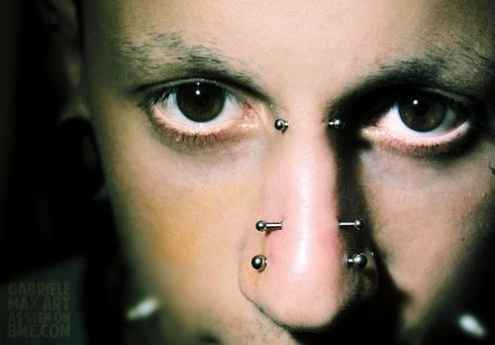 Another variation of nostril piercing is the triple nostril piercing. It requires more precautions in creating patterns with three jewelry to ensure nerve structures are not affected. The most convenient jewelry used in this type is studs. They are commonly seen on the top crease of the nostril with a triangular pattern. High nose piercing is another variation of nose piercing, where the jewelry is placed a few centimeters above the natural curve of the nostril crease. Jewelry options for the high nostril piercing is limited to studs, l-shaped pins and nostril screws. 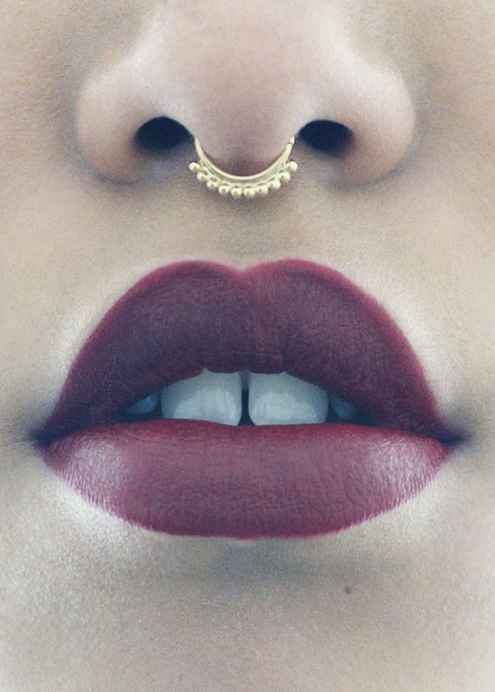 Today, the septum piercing is the most trendy type of piercing in the fashion industry. The piercing is placed on the cartilage division of the nostril. Although, it is not necessarily placed on the cartilage like mentioned above, it is located right on that sweet spot where there is no cartilage on the nose. It can be found in the gap between the bottom of the nose and the cartilage. 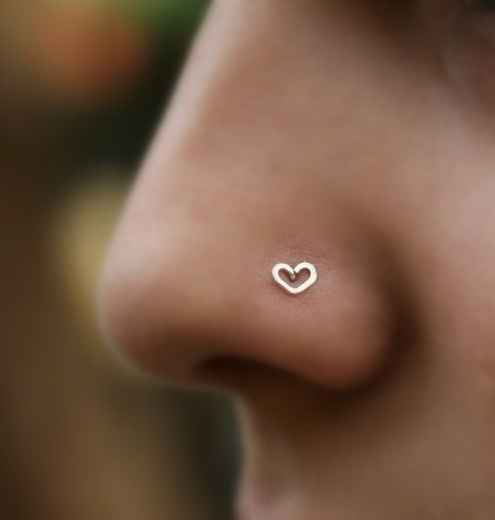 This kind of nose piercing is situated on the bridge of the nose. Jewelry used in this type of piercing are curved barbell and circular barbell. Although it may look that it damages bone and cartilage, it does not. The jewelry is placed just on the surface of the bridge. Because of this, bridge piercing is more prone to migration where the body will reject the piercing. Vertical tip piercing is very rare. It is situated on the tip of the nose vertically. The tips of jewelry used are visible above the tip of the nose and under the tip of the nose. 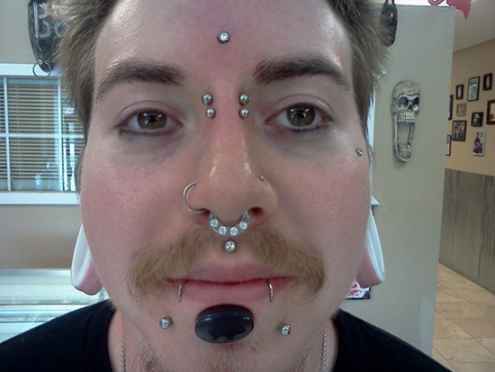 There is only one option of jewelry to use on this type of piercing because of its location. – The Curved barbell. Septril is a bit more complicated than other types. It requires time, expertise and pain. Placing it depends on the person’s bone structure and septal cartilage. 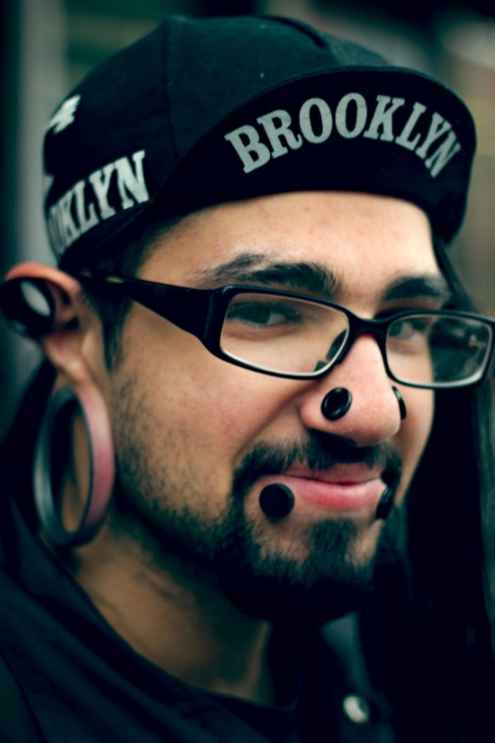 It is a combined half-vertical tip piercing and septum. Jewelry used in septril piercing are stud or nose bone, eyelet and curved barbell. Nasallang is the most adventurous and intense type of piercing. It is a tri-nasal piercing that gets in both nostril and the septum. The only jewelry used in this piercing is a straight barbell. The nose piercing procedure can be broken down into three steps: Preparation, the actual Piercing, and Healing. On the preparation stage, the piercing expert will sterilize and clean the area of the nose to be pierced with an antiseptic or germicidal soap. This it to avoid infections on the area after it is pierced. Then, they will allow you to mark which part of your nose, you exactly want the jewelry to be pierced. You will be using a surgical marker or a Gentian marker in doing so. Next, you will be asked to choose which type of jewelry to use. On the actual piercing stage, a sterilized piercing needle is used to poke a hole on the nose, skin or cartilage. Then, to make sure there is success in creating the hole, the nose is clamped with the use of a circular forcep. 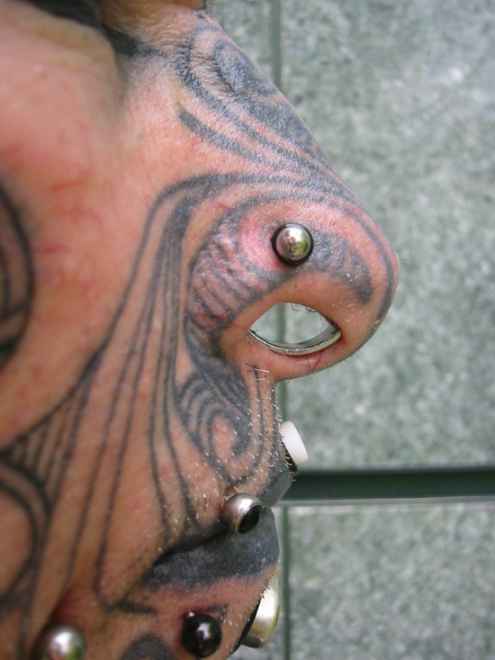 There should also be a small cork inside the nose to protect the septum cartilage from being accidentally hit. Lastly, the jewelry is added in place. Nose piercings involve manual penetration of needle in the skin, flesh and cartilage. This makes the nose piercing more painful than other types of piercings. With the help of a professional piercer, teary eyes may last for as short as thirty seconds only. There are other factors that can affect the level of pain received: size of jewelry and type of nose piercing. Thinner jewelry like rings may hurt less unlike studs and barbells. Septum piercing, Septril piercing and Nassalang piercing may hurt more than the others due to their complex procedure. In general, nose piercing pain may be rated 3 out of 10, with one being the lowest level of pain. 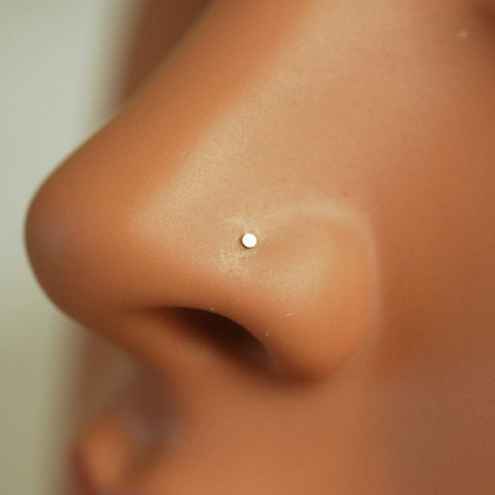 The cost of nose piercing varies per piercing shop, location, and type. There is no price that would apply for the world. It changes from shop to another, city to another and country to another. The general range of nose piercing price starts from $25 up to a $100. The jewelry may also affect the general price since they may cost $5 to $50 Another factor that can affect the cost of nose piercing are inevitable aftercare options offered by piercing shops. The type of piercing also may change the price due to difference and complexities of the procedure. 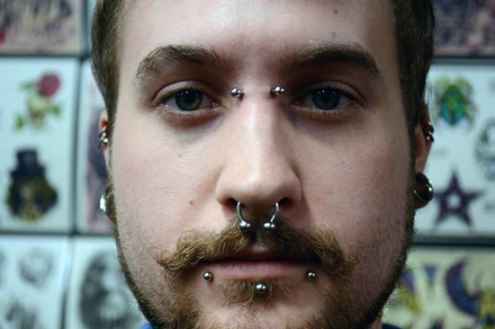 The common nostril piercing may range from $30 to $80 while septum and earl/bridge piercing may range from $40 to $90. Nose piercing aftercare how long? Nose piercings take a longer time to heal due to the location of most pierce which is the cartilage. It may take three to eight months to completely heal, provided that proper care is done. Since there are many types of nose piercing, healing time varies. Nostril piercings typically heal in as fast as two to four months while Septum piercing may need six to eight months to completely heal. There may be visible swelling, tenderness, and redness on the skin, but it should go away without problems in ten to fifteen days. During the healing time, it may develop from redness to pinking. There may be crusts forming in the area and some white-yellow discharge may appear. Before cleaning the pierced area, sanitize and wash the hands properly to avoid infection. It can be cleaned twice a day. Start by lathering an antibacterial soap around the piercing area and rinse with warm water. Then, get your cotton buds and soak it in a pre-made saline solution. The saline solution contains a mixture of sea salt and warm water. Dab the cotton buds with the solution on the area on both areas inside and outside. Finally, rinse the area and pat thoroughly with dry tissue or towel. This antimicrobial soap can kill germs and is greatly recommended by the Association of Professional Piercers. Before applying it on your piercing, be sure to dilute it first. Ensure that it can reach the deepest part of your piercing. You can use this in washing your hands before touching your piercing. It is very important that you should always keep your hands clean all the time, especially during the healing process. Since this soap has a pleasant smell then it’s best for pierced nose aftercare. H2Ocean Piercing Aftercare Spray is comprised of natural ingredients. Best of all, this is suitable for all skin types regardless of if you have a sensitive skin. It is advisable that you should use this product during the healing process. It can help in minimizing the pain as well as reducing the healing period. In eliminating the piercing crust, get a cotton swab and soak it in a saline solution. Remove the crust gently not only on the outside but also on the inside. In case the crust gets stuck, soak the nose piercing again with a saline solution. These extra strength liquid swabs are effective for both external and internal use. There are two ways of applying the saline solution to your nose piercing. The first option is to dip your nose into a bowl with saline solution. The second method is to soak a cotton ball in the saline solution. Then, hold the cotton ball on your nose piercing for at least 3 minutes. Or you can use a Piercing Aftercare Spray such as this one. Avoid putting makeup and beauty products like powder, toner, and others. Ensure the puncture area on the nose is healed completely before changing your jewelry. Avoid over cleaning your piercing. Do not use Betadine, alcohol, hydrogen peroxide and ointments to the area since they can either damage tissues resulting in scars, slow down the healing process and cause irritation and infection. Saline water may contain four teaspoons of salt and a gallon of distilled water. Saline water can be stored in the fridge. It can be kept in three to four weeks. Do not remove crust formations and rotate jewelry. Nose piercing aftercare swimming must be avoided even if it is summer. 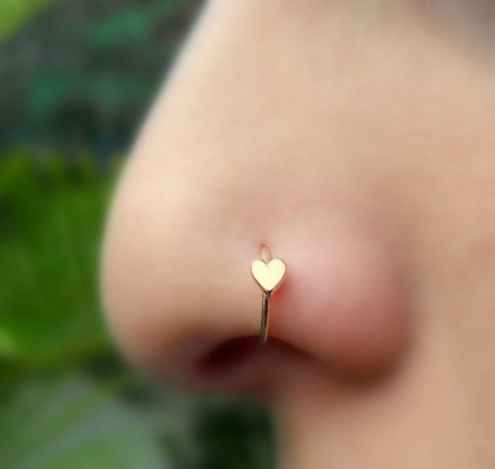 In some cases, nose piercings may develop infections. Complications of body piercings happen because of improper care. They may swell, cause too much pain, show redness and release green pus. The pierced area can also develop bumps which may be a keloid, pus or granulomas. In this case, it is important to seek a doctor to get proper medications and make some precautions at home like applying warm compress on the area. A warm chamomile tea bag compress will help in soothing the pain and improve blood circulation in the area. To make this compress, get a chamomile tea bag and place it in warm water for a few minutes. Apply it on the infected area for ten to fifteen minutes. Nose piercings add beautiful aesthetics to our countenance that is why it is important to know what consequences come with them. The information provided here are aimed to help you conquer your fear and finally decide on the decision you may have been contemplating for weeks. Understanding useful tips before getting any type of piercing is a must. 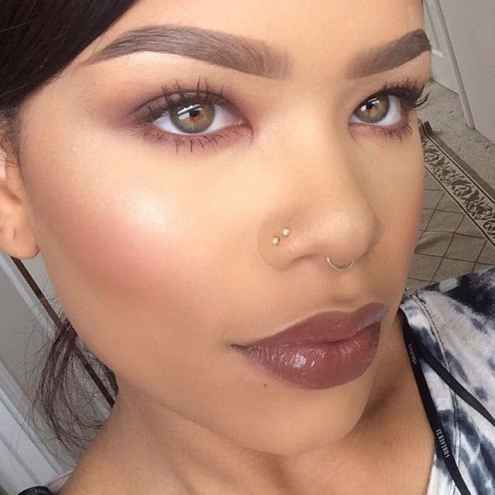 Nose piercing is not a very complex type of piercing and a lot of women have them. Just always keep in mind that the quality of your piercing should not be compromised. Choose the best and reputable shops in your place for a nose piercing. If you thought you were given the best information about Nose piercing, check out more piercing ideas at Anti-eyebrow piercing and Labret piercing.